Government consolidates state-owned shares of Open Joint Stock Company PriorbankAccoridng to the Council of Ministers Decision № 209 of 28 March 2019, the government is consolidating the state-owned shares of Priorbank. 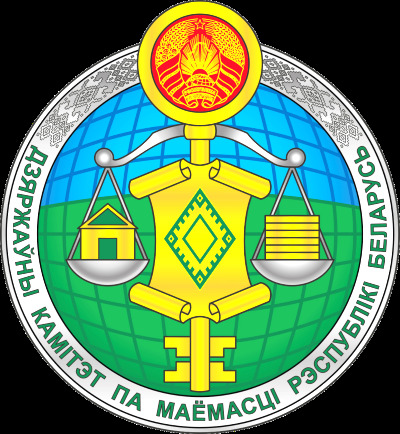 The Council of Ministers Decision № 209 is officially published on the National Legal Internet Portal. State Enterprise «Belgeodesy» was awarded the award for the best scientific and technical developments in geodesy and cartography of F.N. Krasovsky in Moscow The representatives of the State Enterprise «Belgeodesy» and the State Committee on Property received this award for the «Development, creation and implementation of the satellite accurate positioning system of the Republic of Belarus».The State Enterprise «Belgeodesy» became the first foreign company to receive this award. 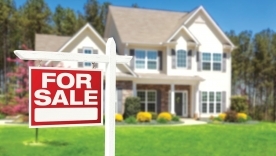 Maturity periodof «Property» checkswere extended for a further one and half year According to Council of Ministers decision № 134 of 31 February 2020, the term of «Property» checks were extended until 31 December 2020. Enterprise «Belgeodesy» of the State Committee on Property and the United Institute of Informatics Problems of the National Academy of Sciences of Belarus modernized technology of automated compilation of digital topographic maps Currently, the automation of the compilation of digital topographic maps of derived scales of 1:25 000, 1:50 000, 1: 100 000, 1: 200 000, 1: 500 000 and 1: 1 000 000 using the modernized software and information complex «Compilation of C» reaches 60 percent (in average). Gaev Andrei: Digital transformation of public services in the field of state cadastral registration and registration of real estate are a component of the national course of Republic of Belarus in building of an information society The Chairman of the State Committee on Property of the Republic of Belarus said these words the participants of the scientific-practical conference "Property Management in the Development of the Digital Economy" today in Moscow. The event is dedicated to the 10th Anniversary of the Federal Service for State Registration, Cadastre and Cartography and the 20th Anniversary of the system of state registration of rights to real estate and transactions with it in Russia. CJSC "Otdih-2010", which carries out activities for the organization of leisure and entertainment, is looking for investors. The recreation center is located 25 km from the Minsk ring road in a picturesque forest place in Smolevichi district near village VolmaBy the decision of the general meeting of shareholders No. 31 of 24.03.2017 CJSC "Otdih-2010" (the legal address: Minsk region, Smolevichsky district, village. Volma, children's health camp "Zarya") announces the study of the demand for the acquisition of shares of the company. The fourth meeting of the Commission for Trade and Economic Cooperation of the Belarus-China Intergovernmental Cooperation Committee was held on 24 August 2018 in Beijing. 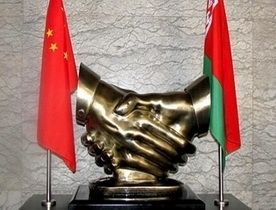 The agenda of the meeting included consideration of such issues as the integration of the development strategy and plans of Belarus and China, regional cooperation of the two countries, the development of the China-Belarus Industrial Park "Great Stone", investment and credit cooperation, the potential of the first China International Exhibition of Imported Goods and Services and other platforms to promote the sustainable development of bilateral trade balance. А working meeting of the Chairman of the State Committee on Property of the Republic of Belarus, Andrei Gaev, and the Deputy Chairman of the State-owned Assets Supervision and Administration Commission of the State Council of the People's Republic of China, Shen Ying, will be held during the visit of the group of representatives of the Republic of Belarus to the People's Republic of China on 23 August 2018. The foundations of strong relationships between departments is the Framework Agreement on Cooperation and Communication Mechanism, which was signed on 29 September 2016 in Beijing in the presence of the Head of State of Alexander Lukashenko and the Head of State Xi Jinping. 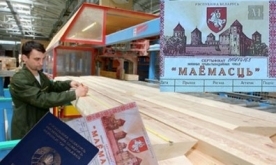 The framework Agreement is aimed at developing and deepening the investment cooperation between the two countries, and it provides for close cooperation not only between the committees, but also the active participation of ministries and other organizations which are subordinate to the Government of the Republic of Belarus.